Lets be honest, we don’t live in the Caribbean, but that doesn’t mean that there aren’t gorgeous, soft sand beaches to be enjoyed in B.C. Some of these awesome beaches are in the Gulf Islands and many of them are only accessible by boat. Since so few people will ever have the chance to visit them, it’s up to you to take advantage of their splendor. Here are my top 7 beaches on the Canadian side of the Salish Sea that aren’t available to the masses. They have been chosen based on some not-so-strict criteria, including quality of the sand, temperature of the water, seclusion, quality of the views and the suitability of the anchorage. I’ve seen them all, but not in one season. Why not make it a quest and see how many you can visit this summer. Stay connected and track your adventures using the SPOT Gen3 GPS Satellite Messenger which allows you the convenience to ‘set it and forget it.’ SPOT Gen3 is essential safety gear, especially when you lose cell service, which you will at some of these locations. The 223 hectares of foreshore (that’s more than 20 kilometres of beach) is accessed only by boat, kayak, floatplane or foot passenger ferry (only in the summer) so this beach, despite its popularity, falls firmly in the boat-access-only category. The climate of Sidney Island is Mediterranean, with exceptionally pleasant, warm summers, mild winters and less than 30 inches of annual rainfall. All of that makes for one of the best beaches in B.C. for sun-tanning. The water isn’t as warm as some of the other beaches on this list, but be brave, you can warm up in the sun afterward. Breathtaking views, abundant wildlife (including deer) and plenty of room to spread out are other positives associated with Sidney Spit. Rocky headlands, sandy beaches and picturesque vistas are the hallmark of little-known Dionisio Provincial Park, which lies at the very northern tip of Galiano Island. This (basically) boat-access-only beach offers a beautiful bay for summer swimming and a secluded sand beach for soaking up the sun or tossing a Frisbee. Wildlife sighting are common in this 142-hectare park and with views of the Strait of Georgia, you might even spot orcas in transit. Be careful when approaching Dionisio as current in Porlier Pass can be strong. Approach at slack tide and then spread your feet in the sand as you watch the sun, framed by arbutus trees, set in the western sky. This might be the best beach on the list. It might also be the most remote. Savary Island is something of a mutant: while the other Gulf Islands are made up of mostly folded and faulted sedimentary rock and arranged generally in a north-south alignment, Savary is composed of glacial till, marine clay and sand, and is situated in an east-west fashion. It lies in the middle of the Strait of Georgia like a big, exposed sandbar and the beaches, which surround the entire island, attest to this. The gradual gradient and shallow waters mean the water is heated quickly in the summer months and the soft sand makes wading in the turquoise waters extremely pleasant. Pay attention to your depth sounder when anchoring as the shoals extend out some ways from the beach. One of the most beautiful camping spots in the Gulf Islands, Blackberry Point on Valdes Island also features a beautiful shell beach, popular with boaters and kayakers. Valdes is one of the least-populated and least-visited of the Southern Gulf Islands, and with 300+ feet of beach, there is plenty of room for romantic seclusion or playing fetch with Fido. There are a number of idyllic campsites at Blackberry Point and because it isn’t a government run site, campfires are allowed and there is a more wilderness camping feel here than at other sites. While there is no caretaker per se, “Crazy Pete” has taken to greeting new arrivals to the point. He has become something of an icon and if you’re lucky enough to meet him, he will regale you with tall tales of the island. Definitely marine-access-only, Tent Island is a small island previously leased as a Provincial Park, but now back under the jurisdiction of the Penelakut Band. Camping is allowed as long as you phone the band office and request permission beforehand. Donations are accepted, but not required. Though popular with kayakers, this is a lesser-known gem with amazing white shell beaches, warm water in the lagoon (perfect for swimming) and miles of driftwood for leaning against. Lay down a blanket and watch the seals play in Stuart Channel. This is another truly boat-access-only beach and is certainly worthy of this list. Located in the Strait of Georgia near the east end of Saturna Island, this 4-hectare island is part of the Gulf Islands National Park Reserve and has five wilderness campsites. The white sandy beach is perfect for sun-tanning and lounging and with few people willing to make the trip to remote Cabbage Island, you will be rewarded with seclusion and serenity if you make the trip. Another highlight of Cabbage is the wildlife. It’s a breeding ground for oystercatchers and bald eagles so take care to avoid disturbing nests, particularly oystercatcher nests, which are usually found on beaches. While technically this beach isn’t boat-access-only, it makes it onto this list for two reasons. First, a loophole: You have to take a ferry—actually two—to get to Hornby Island. A ferry is obviously a boat, right? Right. Second, Tribune Bay Beach is one of the most beautiful beaches on the coast and it would be remiss to leave it off the list. Once you’re on Hornby Island you will feel like you are in a different world. Nicknamed “Little Hawaii” the white sand beach at Tribune Bay seems to stretch on forever. The shallow depths along the length of the beach and its south-facing perspective mean the water heats up quickly in the summer sun, making it ideal for swimming, skimboarding or just splashing in. PROVISO: Some of these beaches are accessible by land, however the difficulty in doing so makes them essentially boat-access-only. 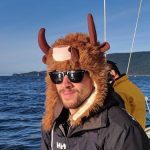 This Pacific Yachting ‘best of’ post was brought to you by Globalstar Canada Satellite CO, distributors of SPOT Gen3, SPOT Trace and SPOT Global Phone. 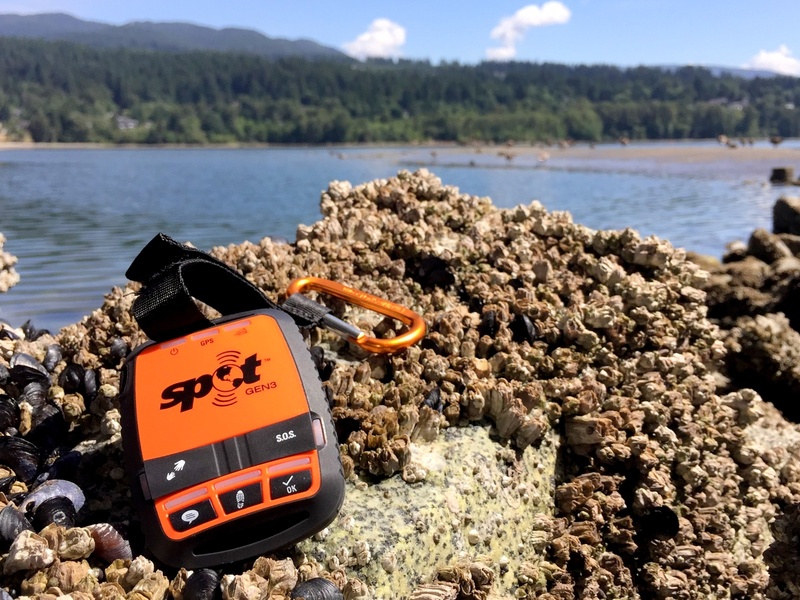 For reliable connectivity wherever your adventures take you, including beyond the cellular grid (as many of these beaches are), SPOT provides a critical, life-saving line of communication. Stay connected to the people and things that matters most, including emergency services, using the world’s most modern satellite network. For SPOT product and pricing information visit findmespot.ca.